The Slide Board Supreme is a high grade Slide Board built for people on the go or who work out at home. This Slide Board offers comfort along with a high quality design. Perform a full-body workout with the Supreme 8ft Slide Board. The 8ft slide board length is perfect for versed users allowing them to get side-to-side in a matter of minutes. 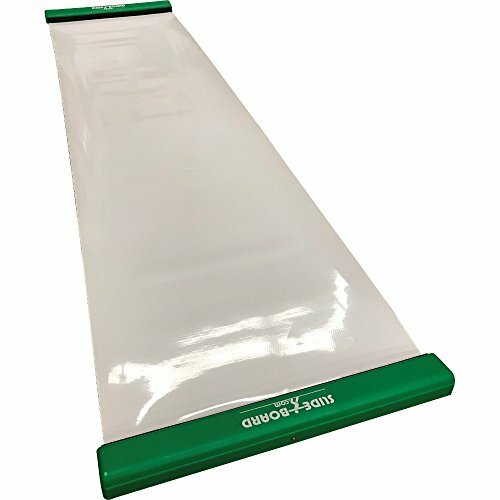 Slide Board included with slide board carrying case. Slide Board includes a one size fits all pair of slide board booties. Slide Board is equipped with heavy duty padded end stops. Slide Board is high quality and built for travel. If you have any questions about this product by Hockeytrain.com, contact us by completing and submitting the form below. If you are looking for a specif part number, please include it with your message.